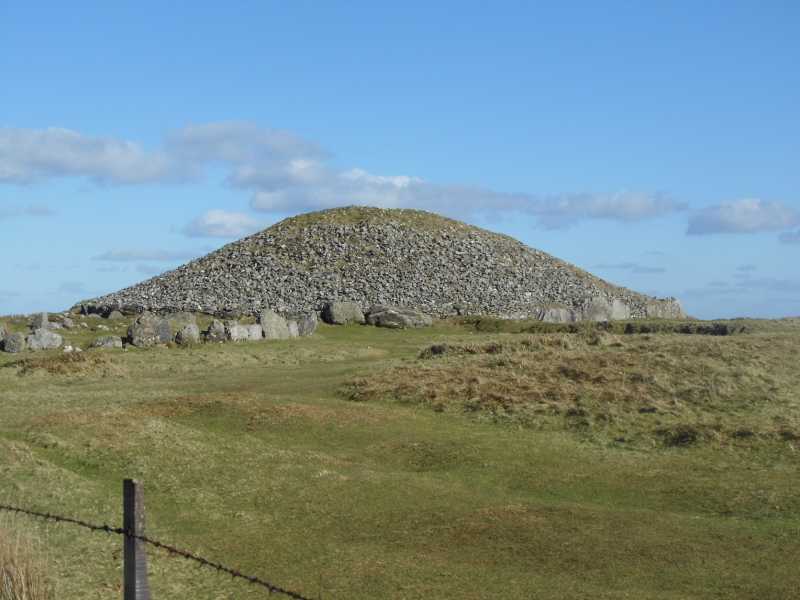 The archaeological complex on several of the tops of these hills, consisting of passage tombs with megalithic art on their walls, is best known as Loughcrew. This is the name of a townland and a parish in the area, and the complex lies within this parish. Several of the most important monuments in the complex are located in the townland of Carnbane. The name Sliabh na Caillí refers to the Cailleach Bhéirre or Hag of Beara. Here she is said to have jumped from one hill to the next, dropping stones from her apron to form the cairns. Slieve Na Calliagh is the 1213th highest place in Ireland. Slieve Na Calliagh is the highest point in county Meath.